Bu Rosani says this with a hopeful smile, as we sink into the plastic chairs inside her family-run restaurant Rumah Makan Nusantara. At the next table a band of sailors roar with laughter and knock back a few bottles of Bintang, pausing only to puff on their cigarettes. 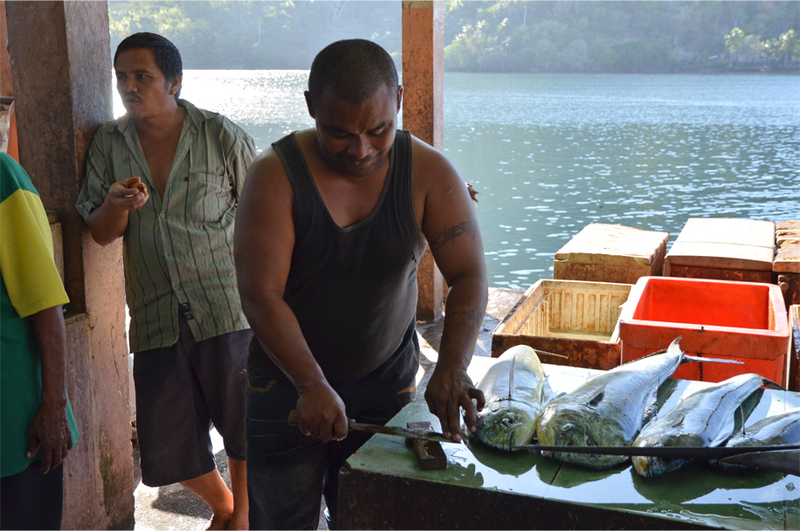 Bu Rosani tells us their ship is leaving soon, and they must be served first. Nusantara is the poetic term for Indonesia, ‘the islands in between’, and it is an apt name for this cosy, down-to-earth resto just steps away from the port of Banda Neira. 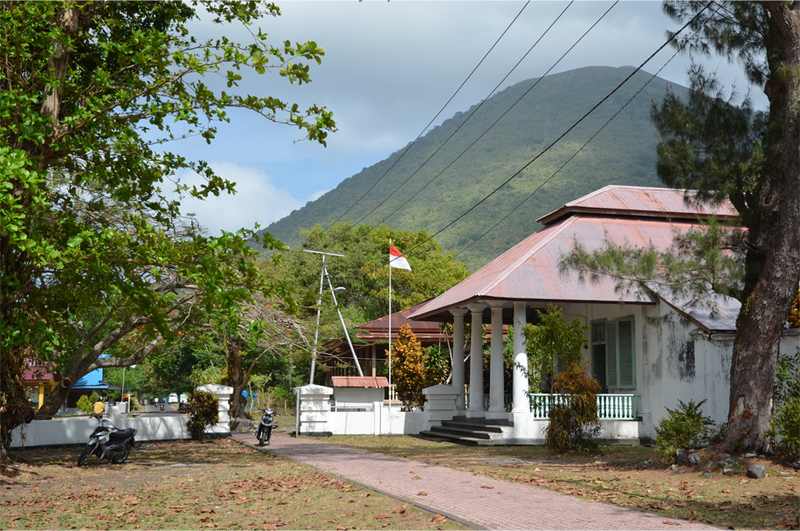 For the remote Banda Islands once drew traders from all across the region – the Malays, Chinese and Arabs included – as it was only place on Earth where nutmeg grew wild. By the 17th century, the European hunger for spices had led to the arrival of the Portuguese, then a genocidal conquest by the Dutch. 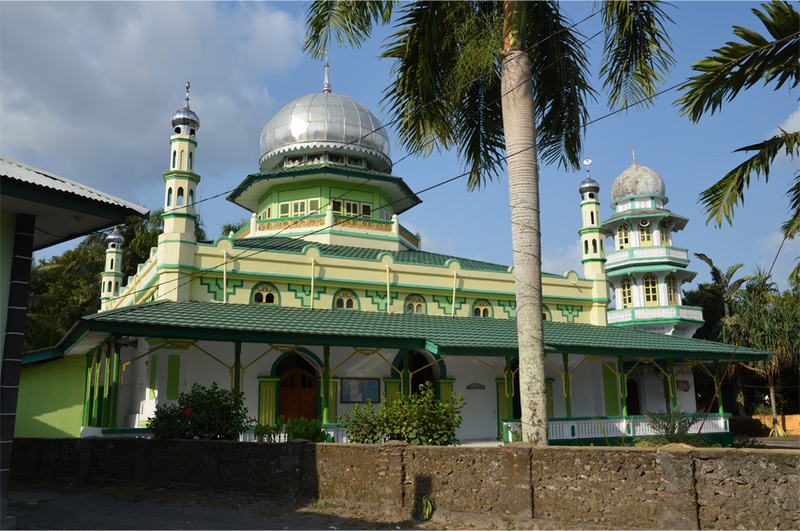 The Bandas and the island of Ambon, 200 kilometres to the northwest, were among their first possessions in the East Indies, as was the newly-founded city of Batavia. Over the next three centuries, the Dutch reaped immense profits from spices, sugar and other valuable commodities. They subjugated the indigenous peoples and united a vast chain of disparate islands under one central authority – a precursor to the modern state of Indonesia. 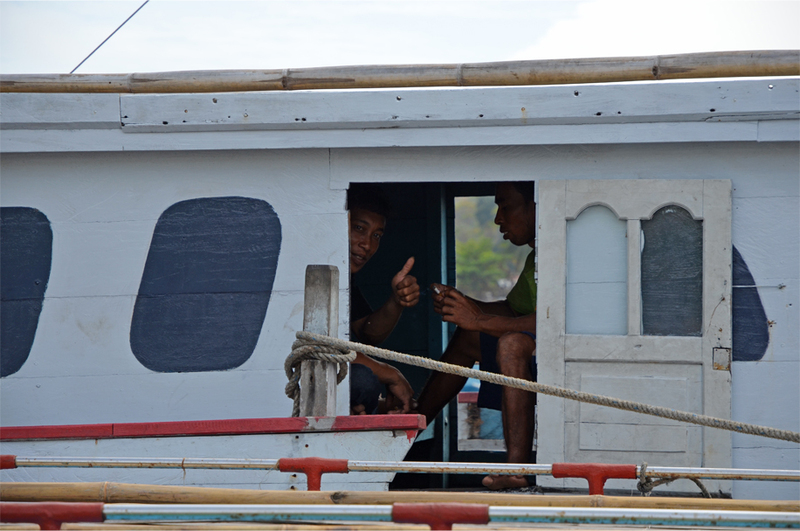 Bama and I had arrived much like those sailors at the next table, aboard a slow, overcrowded ferry from Ambon. 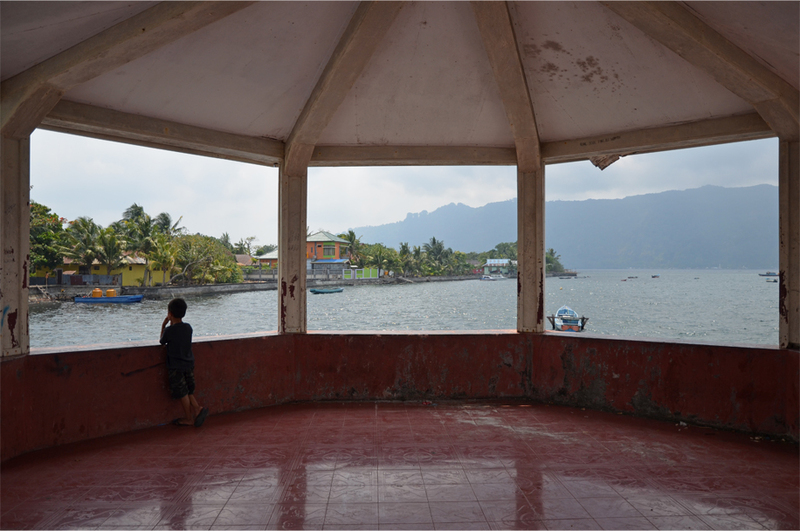 We knew the journey would involve an eight-hour overnight voyage, but what we did not anticipate was leaving Ambon five and a half hours behind schedule. Indonesia operates on “rubber time”, which explains the national penchant for tardiness and the flexible approach to schedules and appointments. What is mañana in Spain is besok in Indonesia. Besok can either mean “tomorrow” or “never”, but we count ourselves fortunate because the ferry actually showed up that same evening. Unless you manage to snag a spot on the 12-seater planes that stop by two or three times a week, getting to these islands demands a great deal of patience. 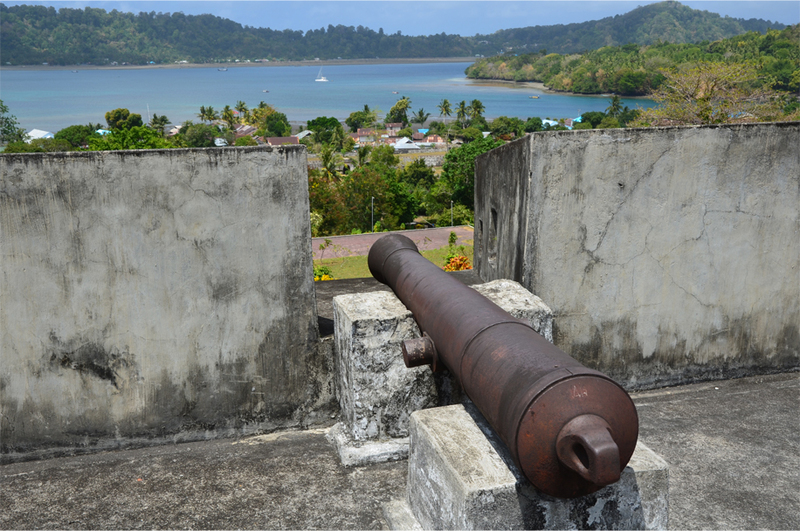 But that is part of Banda’s allure – it excites us even more because it is so hard to get to, and the islands’ remoteness favours those with time, flexibility and the drive to make things happen. A city slicker more attuned to the rhythms of Hong Kong, New York or London might be driven mad by the Bandanese sense of timekeeping, but it suits us just fine. The museum is never open, unless the owner of your guesthouse calls the custodian in advance. Or, upon finding it locked, you might just meet someone who knows the man with the key; he lives in a house just down the street. 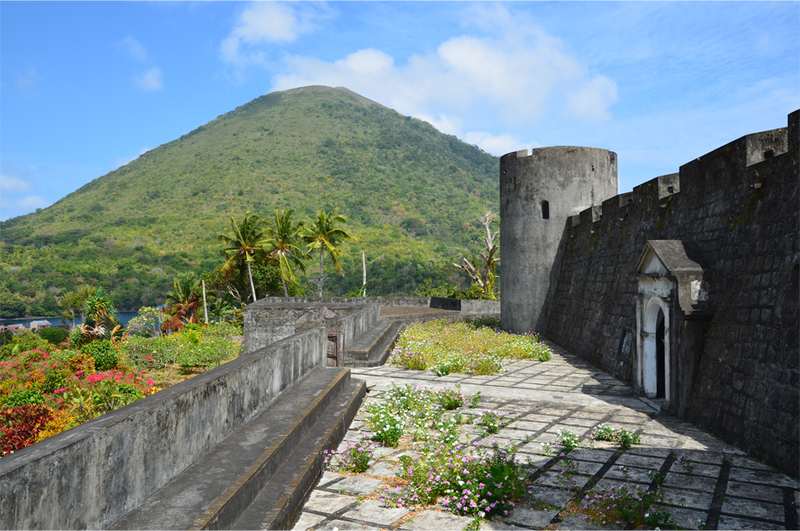 The restored hulk of Fort Belgica, stark grey on a hill covered in luxuriant foliage, operates on a similar system. The food at any given restaurant takes at least half an hour to arrive at the table, which is not an issue because we are in no hurry to get anywhere. 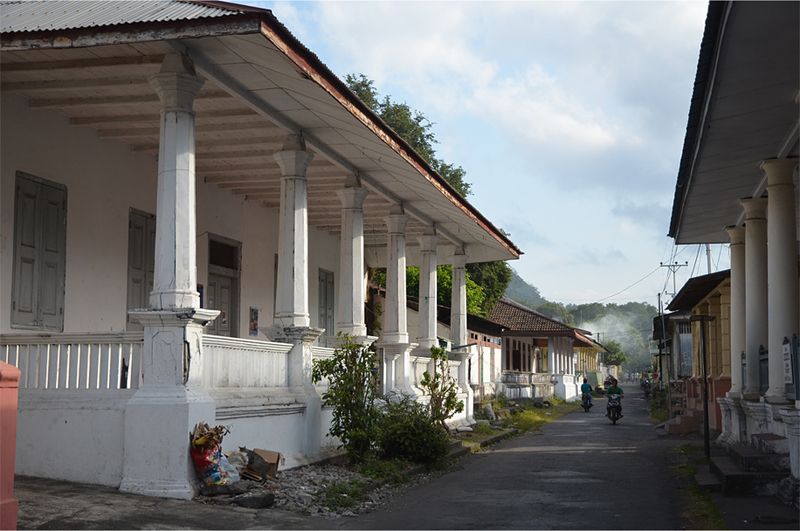 This all takes place against a backdrop of crumbling colonial bungalows, each one distinguished by their colonnaded verandahs and roofs in corrugated iron. 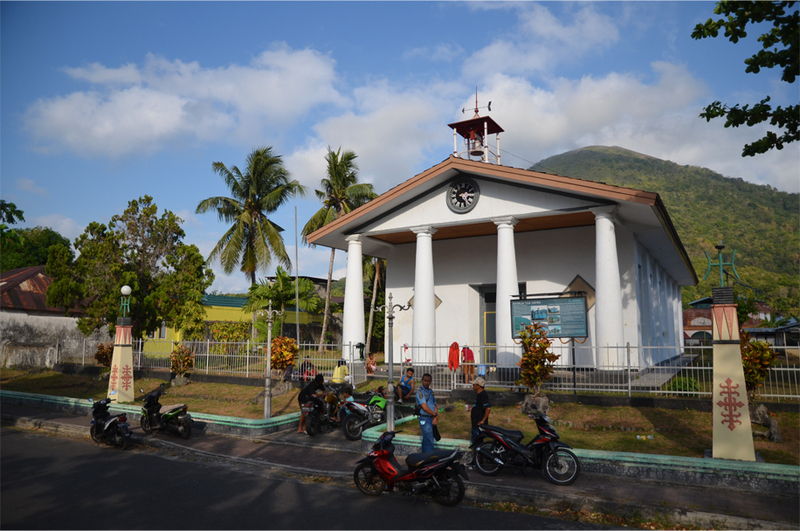 Children play barefoot in the triangular patch of grass in front of the old Protestant church; its bell tolls on Sundays when the young minister pulls on a rope tied to a nearby tree. 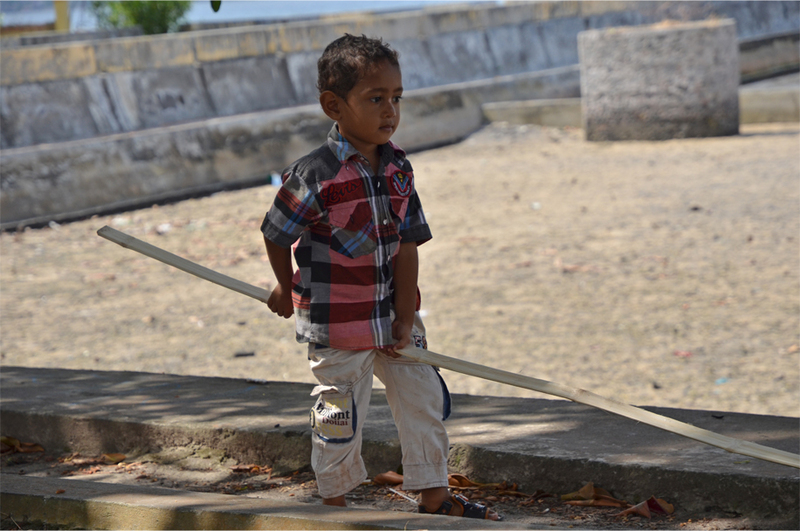 Cars are a rare sight in Banda Neira; we can count the ones we see on one hand. But motorcycles are far more common, and teenagers sometimes barrel down the empty airport runway to see how fast they can go. 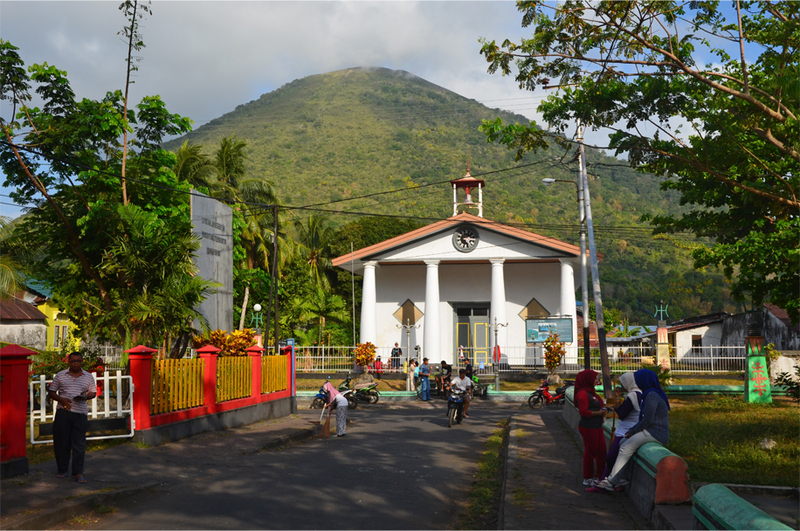 Banda Neira has no shopping malls, no souvenir shops selling useless tchotchkes, and no nightclubs. It is an antidote to the very existence I’d come to loathe while living in Hong Kong – as though I was perpetually stuck in the fast lane. Great pics you’ve got here. Rubber time, Indian stretchable time… there is a universal quality to how time slows or is more flexible in many parts. Having all the time in the world, is indeed a precious commodity! Absolutely! I wonder if there is a correlation between happiness levels and stretchable time between countries… you know, the more flexible your timekeeping, the less stressed you become. That would be an interesting study! 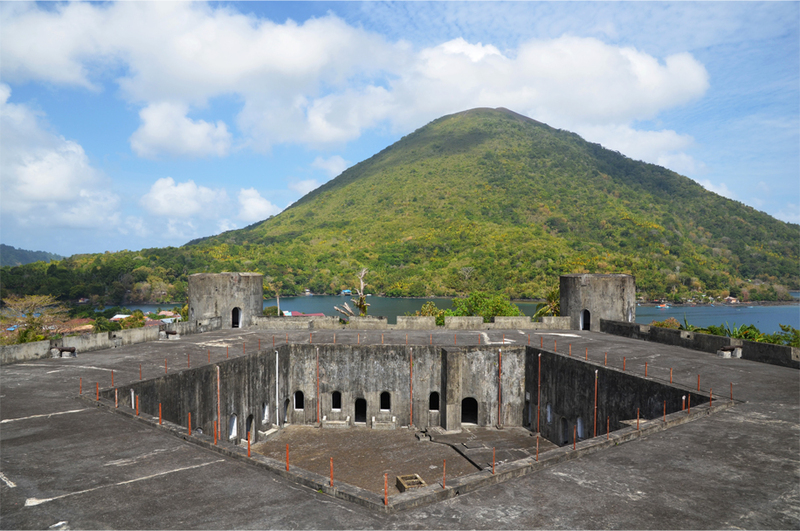 Yes it was Winny – I loved exploring Fort Belgica and the views were spectacular. 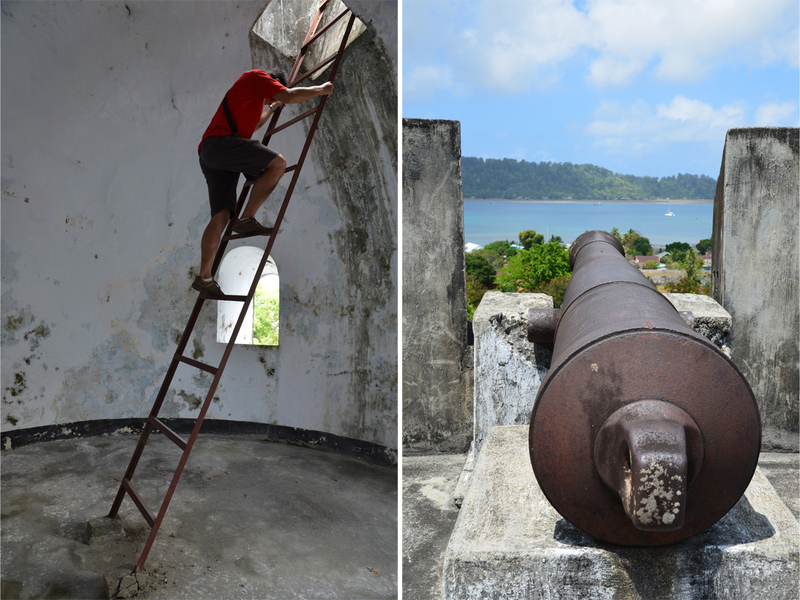 Wow, I’m glad you took the time out to visit Banda – even if it was so hard to reach! The volcano climb was very, very tough. And going to Hatta made me wish I’d learned to dive! I’m looking forward to your own account of the place. Mikel, it would be great to meet the next time I come to Jakarta… of course I’ll have to brush up on my Spanish first! Hati-hati juga. James, no kidding, just let me know when you are coming to Jakarta. I’d be really glad to meet you and show you around. Waiting for news then. No pressure for your Spanish, even if my current job is extremely related to it 🙂 ¡Hasta pronto! Banda was so hard to reach, and so hard to leave. It was definitely the highlight of our trip! I miss Bu Rosani’s juices and sambal (remember the Bintang-scented sambal? ), Nutmeg Cafe’s soto, and Cilu Bintang’s terong saus kenari, to name some. It’s hard to imagine those small islands were once the epicenter of power struggles among European nations. I agree! The food was fabulous there, and I still haven’t found any fruit juices or shakes that are on par with Bu Rosani’s. It is amazing to consider the twists and turns of history – I suspect very few people in Europe today know about Banda and its role in the development of world trade. 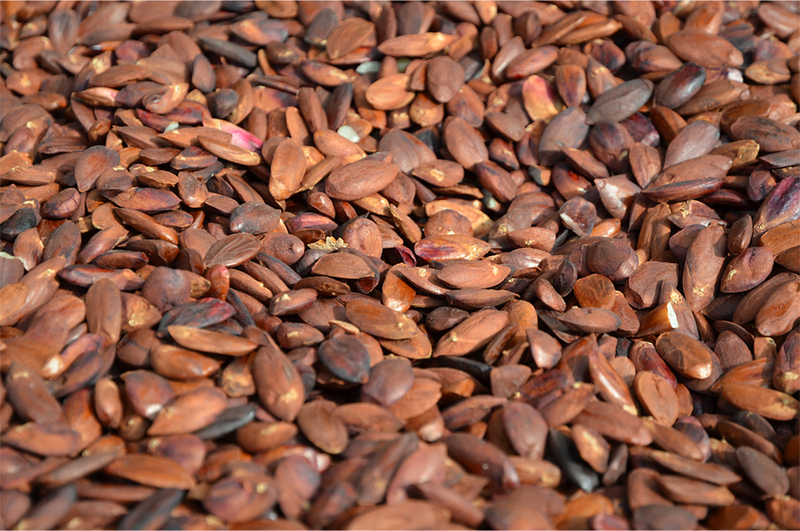 The kenari nuts look like almonds. Did you taste any? I think what the Dutch did was caused by the often brutal, authoritarian modern form of capitalism that started about five hundred years ago in North-Western Europe, especially the Netherlands and England. Instead of making enough to support a family and a comfortable lifestyle, capitalism worships money and workers are nothing but a commodity, a number, to that end. If the corporations have to crush the workers to churn out that profit and keep increasing profits, then so be it. Mow them down. Crush them. Force them to work for slavery and/or poverty wages and beat them senseless if they don’t work hard enough on demand. And when they break, throw them aside and bring in the new forced labor. Yes I did – they may look like almonds but they taste quite different! Kenari nuts have a softer texture and a richer, more buttery flavour. The only country that cultivates and exports them on a commercial scale is the Philippines, where they’re known as pili nuts. You can even find expensive cans of roasted or chocolate-dusted kenari/pili nuts here in Hong Kong. I always enjoy reading your insightful comments, Lloyd. It is no accident that those two countries were the first to set up multinational corporations, with the East Indies as their battleground. And the Dutch did exactly what you said in the Bandas. They killed off or deported 90% of its people and brought in slave labour to harvest the nutmeg. 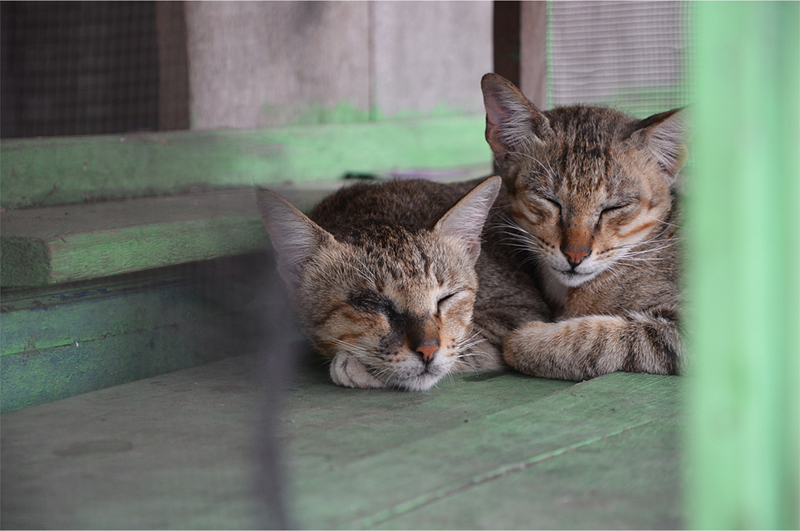 What a lovely post on slow island life….From your gorgeous photos and eloquent descriptions I can totally feel the laid back vibe. I love those kind of no rush, time stands still kind of places too and having the luxury of time to truly relish them. Thank you, Peta. Going to places like Banda is a reminder that it’s perfectly fine to take things slowly and enjoy the moment. Sometimes we lose sight of that in the madness of our daily routines. It really captures that laid-back attitude, doesn’t it? James, I love this post and the way you weave the under-rated luxury of time through the whole story. What a gorgeous little island! And besok — perfect! I’m adding that word to my vocabulary. Excellent post! Thanks so much, Kelly. 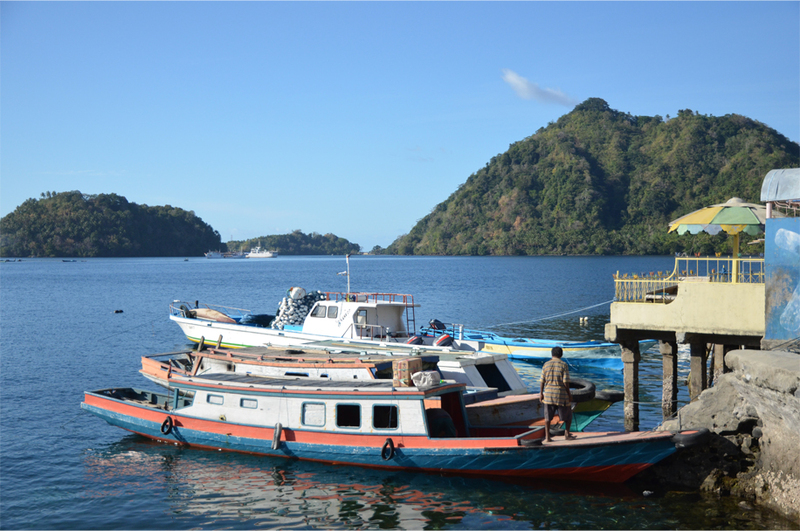 I think you would love Banda Neira – it was a wonderful place to get away from it all. Guessing you didn’t encounter a lot of people in Singapore who preferred to do things “besok” instead of tackling them right away! Great post and beautiful photos! I feel like I learned a lot. Much appreciated, Katherine. Thanks for reading! James I think some of this rubber time would be good for me. I am forever multi tasking and rushing about. In fact a trip to these remote spots would be good treatment. Your photos are incredible as always. I should love to trail behind you standing in your shadow taking photos and learning. Sue, you are too kind. My photos take a lot of inspiration from other bloggers like Jeff and Alison. In Banda Neira I put more of an effort into people shots and street photography because the islanders were so welcoming. I am all too familiar with the endless multi-tasking and rushing about… that is the default mode for my mom! Sounds like a wonderful place for a holiday. The Chinese temple looks good. Did you manage to get in? Such a lovely mix of cultures; its wonderful that Id ul Adha is influenced by Chinese dances. Is that tuna waiting to be sliced up? 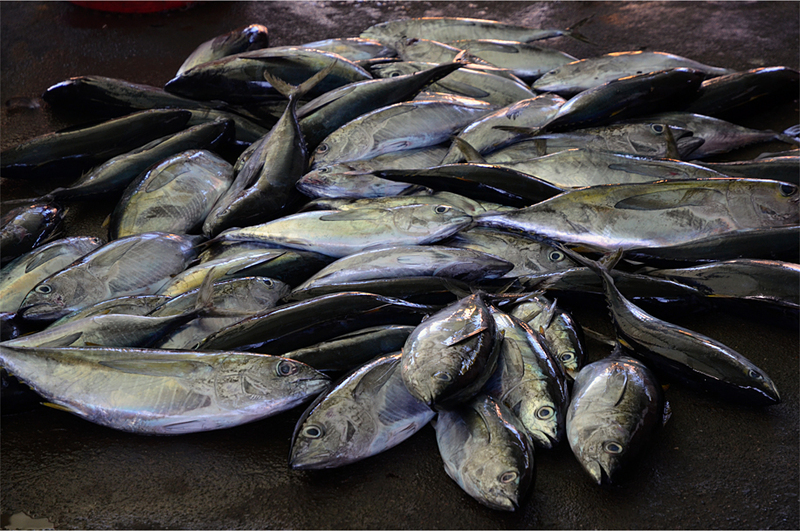 I don’t think that is tuna, but then again I am not very knowledgeable about fish species so I could be wrong! 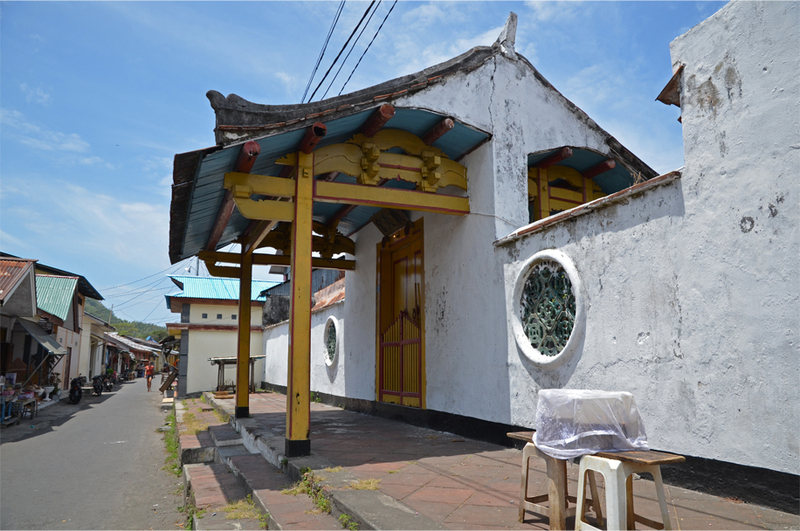 The Chinese temple was always closed – I never saw any worshippers going in and out so it might only be used for special occasions. It would have been a fascinating experience to step inside. Oh yes, time is the biggest luxury of all! But do you find, like me, that even when you don’t have a schedule or any time constraints, that you superimpose them on your life anyway? I am so used to go-go-going, that when I truly have all the time in the world, I think up something that I “need” to do at some point and thus constrain myself anyway. I exaggerate a little, and I am pretty darn good at unwinding and settling into rubber time (or island time, as we call it at our getaway place), but coming from my busy world, it is sometimes unnatural to not have any agenda at all. Lovely photos, and I love the slow-travel mood you’ve set. Thanks, Lex! Although I am a planner at heart, I do appreciate the flexibility of not having a schedule. I love taking it easy for a day or two if I don’t have any major commitments. What tends to happen when I’m with my parents is that they are the ones who superimpose – so I can go from being totally free to running errands and rushing about for their sake. Oh well. This sounds wonderfully idyllic James. It’s the kind of place I’d enjoy. I am sure of that, Alison. And you would simply love wandering around, engaging with the islanders and taking their portraits. James…right, another wonderful post. Love all the information and history, and as always, the food. Your photos make it look like a wonderful place. I like the way you capture all aspects of a place, or a place from different angles. And rubber time is my kind of time. I’m not a Type A person, nor traveler. I could sit in a place like this for weeks, months maybe. It’s the way I like to travel most. I went to Sulawesi once, but have never made it to this place. I had to look it up on the map. It’s like in the freakin middle of nowhere, eh? Thanks Badfish. 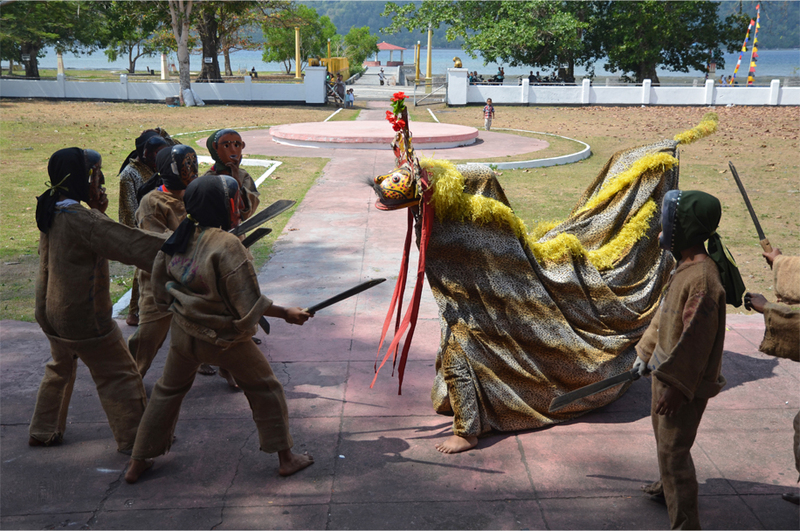 The Banda Islands are miles from anywhere… but that is all part of the fun. I’m Type A in some respects (I blame my Hong Kong upbringing), but having two weeks of rubber time was such a refreshing change. I’d probably have stayed an entire month if I could! I can see they are miles from anywhere! What prompted you to go there…the nutmeg thing? Was it cheap there? I think I’m always on rubber time…I’ve spent way too much time in Indonesia. Yep, it was the nutmeg. 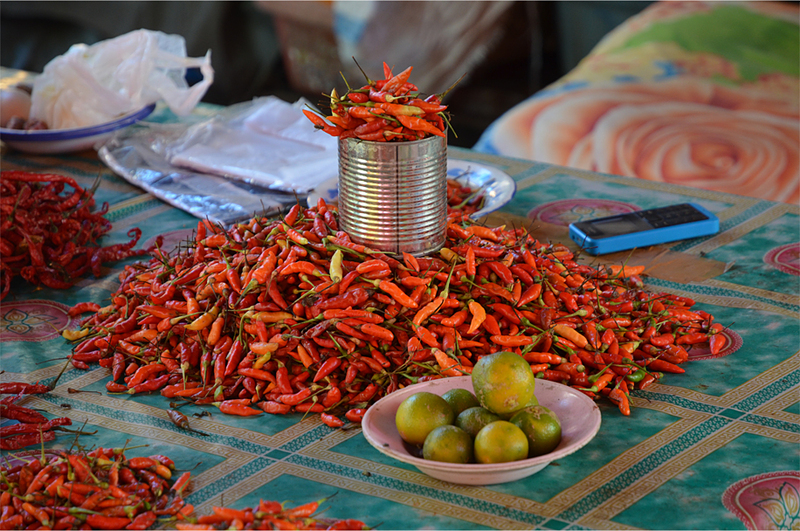 That alone (and all the history attached to it) made Banda the centerpiece of our entire spice trip. There’s quite a bit of backstory too so I will probably elaborate on that in the next post. Most things were cheap, but we splurged on the guesthouse. It was the newest (and by far the nicest) place in the islands, with huge rooms, hot water, A/C, strong WiFi, handmade soap from Bali, and fabulous buffet dinners if you didn’t mind paying extra. That place looks awesome. I really want to go there now. Did you say in a different post somewhere that this was your favorite place on the trip or did I imagine that. I like rubber time. That is funny. Great post and great photos. You weren’t imagining it – I did say that and might have done so a couple of times! I am sure you would love it there. 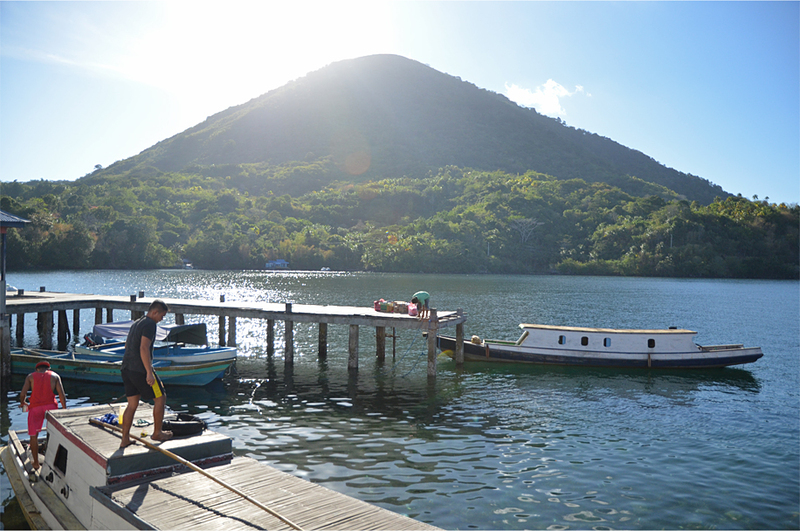 Banda has fabulous snorkelling (the best I’ve ever tried), a gnarly volcano climb, plenty of local colour and the place is dripping in history. 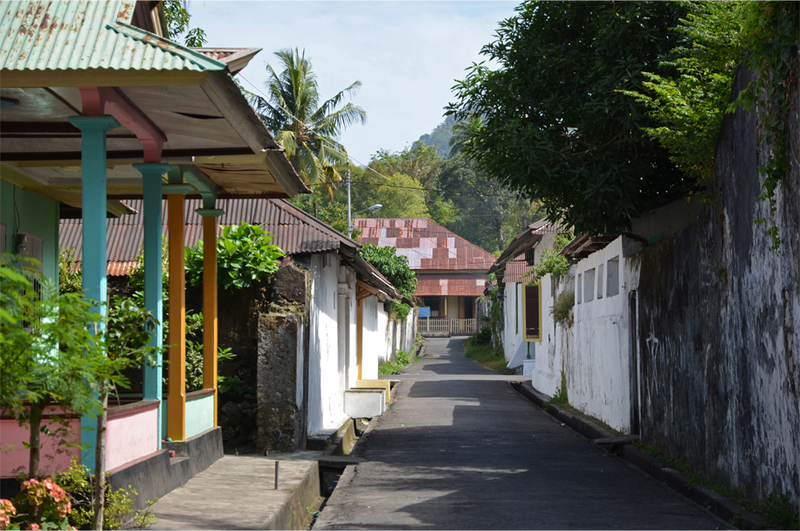 It is a million miles from the popular tourist hangouts of Bali and Java.